It was in Miss Barbara Nelson’s first grade class at Stewart-Tuckahoe that I first learned that the choices I made could affect the world. It was November of 1960, and Miss Nelson asked the class to put our heads on our desks and, by a show of hands, vote for President. She called John Kennedy’s name first and being new to this form of civic engagement, I peeked and saw one of my friends raise her hand – I followed her lead. A moment later, Miss Nelson asked how many were voting for Richard Nixon. Again, I peeked, saw how a second friend was voting, and promptly committed voter fraud. Miss Nelson shared the results, acknowledged that there had been an error but decided against a recount. I was spared. I can’t say that was the beginning of my social consciousness but I was very interested in politics and government throughout my years in public school and at age 18, voted for the first time in November, 1972. It was a thrill and a sign (along with getting a driver’s license) that I had reached adulthood. I’ve never missed an election since and when my two sons were little, I took them with me to help me cast my ballot, their reward: red, white and blue “I Voted” stickers. Years later, one of those boys stood in line with me to help me cast my vote for the first African-American President. The enormity of that moment was not lost on either one of us. It’s a point of pride that Central Library is one of many polling locations. Not because we’re a big facility with a large auditorium and a lot of free parking, but because our very existence as the public library is predicated on a belief that people have a right to know. Free and unfettered access to information makes our democracy work by giving people the tools they need to pursue the lives they imagined. That is a sacred covenant that we, as librarians, never take for granted. This election season has seemed exceptionally long and it’s no surprise that many (all?) of us are counting the days until it is over. To hasten its end (and it will end), however, is to pay insufficient attention to what voting is all about: taking a stand, making a commitment to oneself and others, being an active participant in the wider community. Turn on the TV, open the newspaper, listen to the radio – we’re told that this election is more important than ever. Not so. Every election is important and every vote counts. And it’s a privilege that for people in many parts of the world is not enjoyed. On Tuesday, vote as if your life depends on it; it does. The annual Girl Scout retail juggernaut is underway, spinning thousands of signatures into hundreds of millions of dollars in roughly six weeks’ time, a pace and margin of profit that is the envy of many CEOs. Julia Veitch Thomas with Arlington Girl Scout troop. She started the Girl Scouts in Arlington and Alexandria County. Photo circa 1920. Courtesy of Johnathan Thomas. 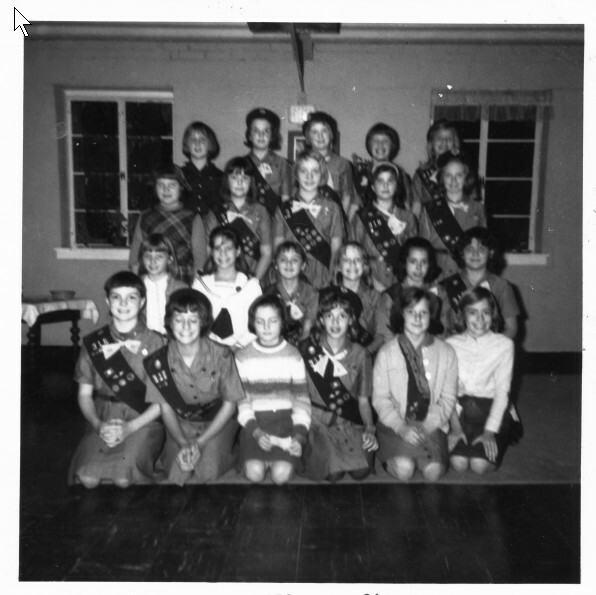 According to the Girl Scouts, young girls and women learn five basic skills: “goal setting, decision making, money management [boxes are priced at $4 each], people skills, and business ethics.” And consistent with the times we live in, cookie sales in at least two national councils–Houston and Minneapolis–have gone mobile. Not all adjustments to the nutritional value of the cookies, however, have succeeded. For example, low-fat and sugar-free varieties didn’t sell well and are no longer produced. They are cookies, after all. And some varieties, “Snaps,” an iced oatmeal raisin cookie; “Double Dutch,” a double chocolate; and my own fleeting favorite, “Dulce de Leche,” will never see the inside of a cookie jar or sack lunch again. In fact, it’s the camping trips I most remember from my years as a Girl Scout–the fun of being outdoors and hiking, telling ghost stories and sleeping in huge canvas tents with wooden floors. And cooking foil-wrapped dinners. Most people have tried their hand at making “S’mores,” the campfire confection first recorded in “Tramping and Trailing with the Girl Scouts” (1927). While S’mores are great, I prefer the campfire treat favored by my troop: a red apple (Fuji or Gala work best), cored and filled with the candy “Red Hots,” wrapped in foil and baked over a fire. Sweet, cinnamony, spicy, nutritious (well, sort of) and delicious. Were you a Girl Scout? Have a tale to add to “Cookie Chronicles”? Please do so in the comments section below. Where were you on Sept. 11, 2001? As the 10th anniversary of this epochal moment approaches, I find myself reflecting back on the day and its aftermath. My memory plays like a movie. It was a day just like any other canopied by an improbably blue sky. My walk to work, a stop for carryout coffee, waves to store owners, a chat with two moms about my eldest son’s high school application process, arrival at the office around 8:30 a.m. Within minutes, a colleague stops in my doorway to announce that a plane has crashed into one of the towers of the World Trade Center. My first thought: a small aircraft, horribly off course. I get to the nearest television: a second plane hits the second tower. Fast forward: other planes, rumors of fires, explosions. I retraced my steps down the same street—no chats or waves to store owners, now. I retrieved my children from their Capitol Hill school. Our neighborhood eerily quiet. No planes flew overhead; my youngest son screamed as a helicopter broke the wall of silence. The television and the Internet were vigilant companions, hypnotically replaying the crumbling towers, forming a backdrop to the family discussion. And the unforgettable images: of police and firefighters, of streets filled with fleeing office workers coated in white ash, of the rubble and the detritus of lives uprooted. My movie ends with me on the telephone with friends, some halfway around the world, reminders of the grace of humanity in the face of indiscriminate inhumanity. The need to understand “why” attends any tragedy. How can we make sense of the incomprehensible; prevent something horrific from happening again? The Greeks created myths to embody their understanding of the world. William Shakespeare told us that past is prologue. Art and science allow us to explicate emotions, share dreams and aspirations, examine human folly, question existence, wonder. And libraries collect and make accessible the fruits of these labors. While no library has been immune to the aftershocks of the global economic meltdown, the challenges we face as information professionals are not limited to economics. The ubiquity of increasingly affordable mobile technology coupled with the rise of e-media presents exciting opportunities to deliver more content to library patrons where they are. Yet how do we keep up with the demands for both print—newspapers, magazines, books—and e-content? How do we maintain the balance between high tech and high touch so that patrons can help themselves and get help when they need it? How do we ensure patron privacy—and we must—when the more we know about our library users, their tastes and interests, the more helpful we can be? How can we have it all/do it all? As professionals and managers of an institution dedicated to serving the public good, we will continue to evaluate what we do as we harness new tools and media that paradoxically enable us to connect with others and know more about the world we live in but present unprecedented challenges. The health of our community depends on our commitment to identify, experiment with and pursue the right solutions and balance and so does the health of our democratic way of life. “The time is always right to do the right thing.” Dr. Martin Luther King, Jr.
On August 28, the 48th anniversary of the “I Have a Dream” speech, the Martin Luther King, Jr. National Memorial will be formally dedicated in Washington D.C. Located in West Potomac Park and flanked by the Lincoln and Jefferson memorials, the addition of the King Memorial creates a monumental trifecta of leadership and inspiration. As a child of nine in August of 1963, I had little knowledge of the man whose eloquence and personal courage undergirded a movement. I had no knowledge of the civil rights movement itself. African-Americans were just not a part of my everyday experience. Just as it is often observed that there are two Virginias, in 1963 there were two Arlingtons: the well-to-do, predominantly white North Arlington and the less prosperous, racially mixed South Arlington. It was a distinction that was more than just directional. There were few students of color in my elementary school, Stewart-Tuckahoe, when I attended from 1960-1966–a fact consistent with the 1960 Census, which reported only 7,063 foreign–born persons or 4.3 percent of the County’s total population. High View Park in North Arlington and Arlington View and Green Valley (Nauck) in South Arlington were all that remained of the County’s African-American communities. High View Park, known in my day as “Hall’s Hill,” was a neighborhood not far from where I grew up. It epitomized the less prosperous and segregated Arlington: an enclave of substandard housing and dead-ended, unpaved streets that for much of its history had been literally walled from the white neighborhoods it bordered by a series of 7-foot fences. The year of King’s speech, the Arlington Planning Commission established a committee to study how best to maintain residential neighborhoods, a study that led to the creation of the Neighborhood Conservation Program. On Feb. 13, 1965, the County Board approved a Neighborhood Conservation Plan for High View Park hailing the tireless efforts of the residents who spoke up for their neighborhood’s civic rights. Abraham Lincoln, whose 156th birthday was celebrated the day before, would have been proud. As significant as this moment was in Arlington’s pursuit of racial parity, it was but the latest example of the County’s black and white residents working together for common cause. A few years earlier, some of the High View Park champions–E. Leslie and Dorothy Hamm and Peggy Deskins – had joined Edmund and Elizabeth Campbell and others to face down Sen. Harry Byrd’s “massive resistance” and integrate the County’s schools. The Supreme Court’s Brown v. Board of Education decision to end school segregation “with all deliberate speed” rocked Virginia to its core in May 1954. The “political museum piece” that was Virginia, as characterized by political scientist V.O Key in his classic, “Southern Politics in State and Nation” , was stuck on the horns of a dilemma, caught between the moral imperative to do right by Virginia and remain segregated, or to do the right thing. It was an issue that pitted being a Virginian against being an American. Arlington, having evolved from a bedroom community in the shadow of the nation’s capital to a thriving, socially progressive community of residents whose political views were markedly different from those of the rest of the state, found itself at the center of the fight. 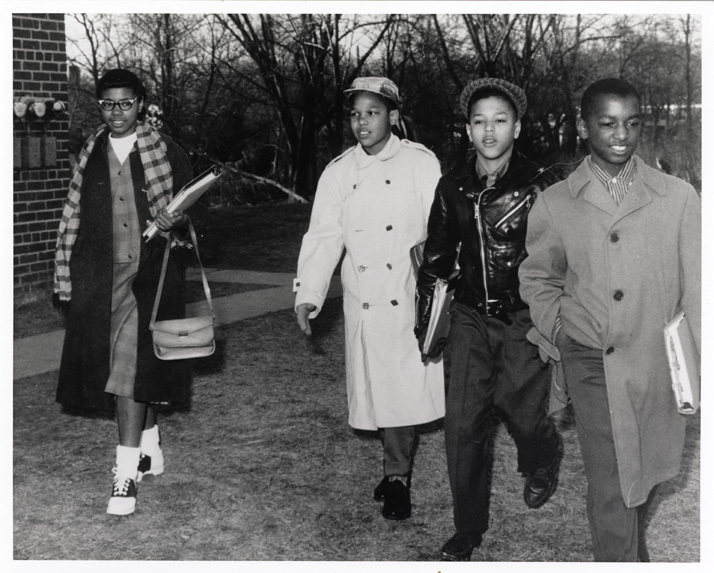 By 1956, political passions were running high in Richmond as “massive resistance” to the High Court’s mandate was gaining momentum, giving rise to a plan to prevent any integrated schools from receiving state funds and authorizing the governor to order any such school to close. Meanwhile the NAACP was filing lawsuits across the state to force integration, including a suit brought on behalf of 15 African American and white parents and 22 students in Arlington. The case was named for Clarissa S. Thompson, an African American student who wanted to attend Arlington’s all white Washington-Lee High School instead of the all black Hoffman-Boston. After hearing oral arguments, Alexandria Federal District Judge Albert V. Bryan, who only four years before in writing the opinion in the original Prince Edward County school integration case* stated that racial segregation caused no hurt or harm to either race, ordered that the schools in Arlington be desegregated. Suits and countersuits ensued–deliberation without speed. Finally, on Jan. 19, 1959 (birthday of Virginia native son Robert E. Lee), the state’s Supreme Court of Appeals, by a ruling of 5-2, overturnedthe Virginia legislature’s “massive resistance” laws and its threat of schools closures, declaring them in violation of the Virginia Constitution. The issue of school integration had assailed Virginia’s traditional political culture, a culture that was oligarchic, parsimonious, suspicious of “big” government, discouraging of public participation in the affairs of state, obeisant to the way things were. Throughout the long, slow march to integration in Virginia, rhetoric trumped reason; fear mongering triumphed over fairness; delay prevented “deliberate speed.” Traditional Southern values were pitted against unwanted northern influence–ideologues against pragmatists. The press, too played a powerful role on both sides of the integration issue. For every Richmond News Leader editorial that intrepidly egged on the resisters, editorials in both the Norfolk Virginian-Pilot and The Washington Post and Times Herald, penned by Lenoir Chambers and Robert Muse, respectively, eschewed moral turpitude and urged action and acceptance. Virginia fought the law, but the law won. On Feb. 2, 1959, Ronald Deskins, Michael Jones, Lance Newman and Gloria Thompson (sister of Clarissa) entered Stratford Junior High School, splitting a phalanx of approximately 100 helmeted Arlington police officers who were Little Rock-ready with gas grenades, masks and batons. 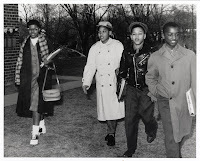 Their walk to school irrevocably changed Virginia although at the time, they were unaware of its historical significance. Years later, reminiscing at a panel discussion with 500 students at Stratford Junior High (now H-B Woodlawn), the four understated their roles on that important day citing their parents and other community leaders – blacks and whites — as the true heroes of Arlington’s integration story. The integration of Stratford was but the first of many small steps toward integration. It would still be years before black and white children could sit alongside one another at drug store counters and drink Cokes, attend dances together, or compete on the same sports teams. * Prince Edward County Public Schools chose to close rather than integrate and remained closed from 1959-1964. It was the only county system in the country to do so. The material for this story came from the archives of the Virginia Room of Arlington Public Library. The attached bibliography will help interested readers learn more about these important events in Arlington’s history. Baseball became a part of my life on a cool evening in the late summer of 1960 at Griffith Stadium in a game between the New York Yankees and the Washington Senators. The Yankees won. And from that evening on, I was hooked on both baseball and the Yankees. In the months before my 10th birthday in June 1964, my father smoked enough Phillies cigars to collect a Mickey Mantle Big Leaguer Rawlings baseball mitt for my birthday present. When I opened the box it arrived in, and saw it nestled there among tissue paper and a color, “autographed” photo of Number 7, I could not have been more thrilled. We were “coached” by a willing neighborhood mom, a sports naïf whose children were dragged to practices and left to whine “can we go home NOW?” from the bleachers while we tried to turn two and shag fly balls. Over several blissful weeks, on unforgiving elementary school ball fields and Barcroft fields under the lights, we scratched out a 3-10 record, playing less like New York’s baseball finest, the Yankees (locally, that honor fell to the Conklyn’s Florist team) and more like the hapless, expansion Mets. And I couldn’t have cared less. I was doing what I loved to do. As another June rolls around (and another birthday, too), it’s hard not to think of lessons learned both on and off those dusty fields of dreams. 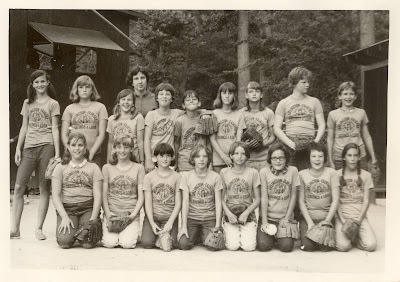 So here’s to Mrs. Miller, Kay, Kim, Debbie, Barbara, Mimi, Baby Ruth, Janis, Nancy, Jane, Gayle, Carol, Ginny, Linda, and all the rest of the girls of summer who taught me teamwork, humility and how to take joy from a game well played regardless of the outcome. Arlington Public Library has a terrific collection of DVDs and books that celebrate our national past time. Here are just a few of our favorites. The Natural — Robert Redford meets Bernard Malamud. Gets better with each viewing. Eight Men Out — The Black Sox scandal of 1919. Now some folks think the 1918 Series was thrown too. The Life and Times of Hank Greenberg (documentary) — A true mensch. My late father’s favorite player on his favorite team, the Detroit Tigers. The Pride of the Yankees — “Today, I’m the luckiest man on the face of the earth.” The Babe plays himself. Baseball: Tenth Inning — The right stuff from the Ken Burns docu-factory. Sugar — A film about a ballplayer but much more. The Only Game in Town: Sportswriting from the New Yorker edited by David Remnick — Updike’s adieu to the Splendid Splinter is a MUST-READ for any baseball or sports fan. Cobb: A Biography by Al Stump — Movie by the same name with Tommy Lee Jones as the driven baseball star. Ball Four by Jim Bouton — The first glimpse of The Mick and others without halos. Heart of the Game: Life, Death and Mercy in Minor League America by S.L. Price — for every major leaguer who sticks, there are thousands who come so close. The last several days of wintery white-out are testament to the old adage that there can be too much of a good thing. So when I wasn’t on County snow status conference calls, or checking on Library facilities in my all-wheel drive or concocting strange meals out of refrigerator odds and ends, how did I keep the stir crazies away? By loading up on free books and DVDs from my favorite local source, Arlington Public Library. For books, I dug into (and finished) Jayber Crow, penned by Wendell Berry (this year’s Arlington READS author and an early booster of the environment and proponent of sustainability: “waste not want not”) and 1968: The Year that Rocked the World, Mark Kurlanksy’s riveting account of the year that woke me up to the world (Kurlansky is also author of several great social histories including Salt and Cod). By contrast, my DVD viewing drifted toward the more eclectic with A Fish Called Wanda (insane fun), The Station Agent (everyone needs a friend), Short Cuts (the lives of 22 Raymond Carver short story characters woven together by the masterful Robert Altman), The Taking of Pelham 1-2-3 (not the Travolta travesty; but the gritty-city original from 1974 with Robert Shaw and Walter Matthau) and Lawrence of Arabia, which I needed two full snow days to finish. Whew!!! All of these . . . and more . . . waiting for you at the Library. So that’s what I did on my winter vacation. What did you do? Please share in the comments section below. And if you were out there taking some pics of plows, puppies in the snow, spinning tires, or just the plain old white stuff itself, please consider sharing your photos with us by sending them to libweb@arlingtonva.us. Former Arlington (Virginia) Public Library Director Lelia B. Saunders died July 12, 2009 at a hospice in Reston, Va. after a short illness. She was 91. Saunders was director of the Arlington Public Library from 1980 to 1986. She was named acting director in 1979 following her service as assistant director beginning in 1957. Saunders’ predecessor, Jane B. Nida, described Saunders as “my right arm” during a tenure in which Arlington Public Library became a widely popular system, opening the County’s first Central Library and building new facilities for all six of its branches. Under Saunders’ direction, the Library system made a strong push in areas of technology—establishing the use of anti-theft devices for materials; a computer-aided database research system; equipment and reference services for the blind and deaf ; and an early computer catalogue network. Saunders oversaw growth in the Library’s historic document collection, as its Virginia Room became the repository for a widespread “Search and Save Drive” in partnership with the Arlington County Historical Commission. Saunders also made the difficult decision for the Library to emboss its logo on rare book plates in the Virginia Room collection to ward off theft and mutilation. In 1980, Arlington Public Library joined the reciprocal borrowing program sponsored by the Metropolitan Washington Council of Governments. Non-residents no longer had to pay $10 per year for an Arlington card and Arlingtonians were able to obtain public library privileges in the District, Falls Church, Fairfax, Loudoun, Prince William, Prince George’s and Montgomery County. During Saunders’s tenure, the County re-examined pay scales for library staff compared to other systems in the region. It also became known that Saunders, the only woman heading a department in the County, was being paid less than her male peers. Born in Roanoke, Va. in 1917, Saunders was a longtime resident of Alexandria, Va. She was an alumnus of Columbia University and former president of the Virginia Library Association. There will be a graveside service at Evergreen Burial Park at 1307 Summit Avenue S.W. Roanoke on July 15 at 1 p.m. 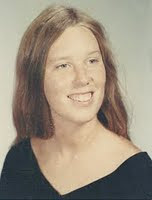 In lieu of flowers donations in her memory can be made to the Old Presbyterian House at 323 S. Fairfax Street, Alexandria, VA 22314.